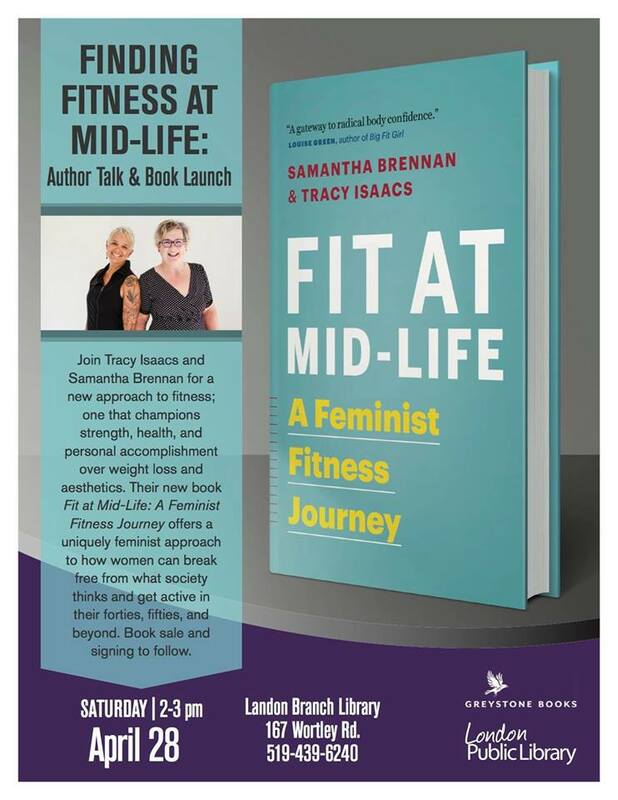 Join Tracy Isaacs and Samantha Brennan for a new approach to fitness; one that champions strength, health, and personal accomplishment over weight loss and aesthetics. Their new book Fit at Mid-Life: A Feminist Fitness Journey offers a uniquely feminist approach to how women can break free from what society thinks and get active in their forties, fifties, and beyond. Book sale and signing to follow. Free event. All are welcome. Tracy Isaacs, PhD, is Associate Dean (Academic) in the Faculty of Arts and Humanities and a Professor in the Departments of Philosophy and of Women's Studies and Feminist Research at Western University. Fit at Mid-Life is her second non-fiction book. She is also co-founder, with Samantha Brennan, of Fit is a Feminist Issue, a popular blog offering feminist reflections on fitness, sport, and health. Samantha Brennan, PhD, is Dean of the College of Arts at the University of Guelph, President of the Canadian Philosophical Association, and an editor at the Feminist Philosophy Quarterly. She is also co-founder, with Tracy Isaacs, of Fit is a Feminist Issue, a popular blog offering feminist reflections on fitness, sport, and health.